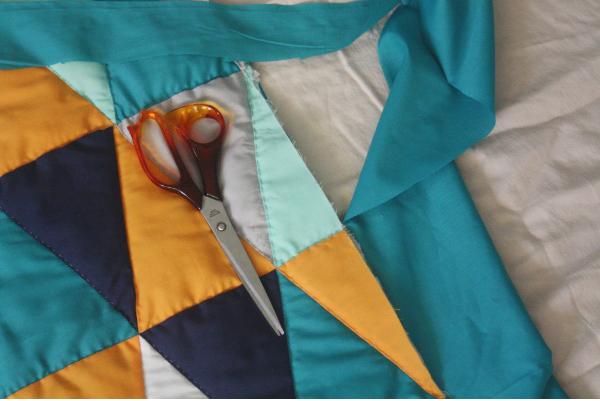 Way back at the beginning of the summer, I wrote a few posts about two big summer goals: hand-quilting & gardening. Now that the summer is over, I thought I’d give you an update. First, my big failure: the garden! I dug. I planted. I watered. I waited. Then things started to come up. But because I’d planted seeds instead of plants, I didn’t know if what was coming up was weeds or seeds. And I also got a fair amount of lazy, since it was too hot outside for me to want to weed anything. Time went on, and the things that had started coming up just kept on coming. And I never weeded. So now it’s just all weeds. A lot of work for nothing. Next time I try gardening, I’m going to use plants instead of seeds. That way, I’ll know what’s what. 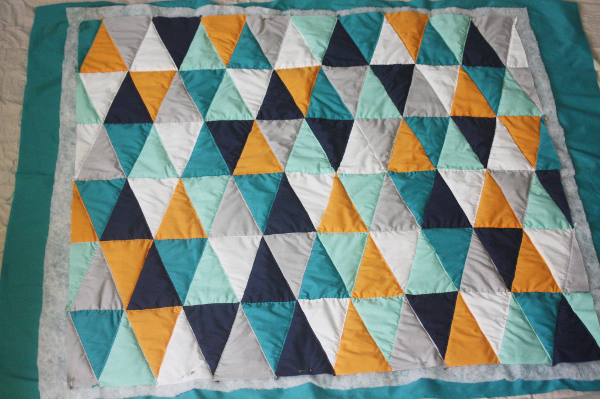 Now, on to my success: triangle quilt! 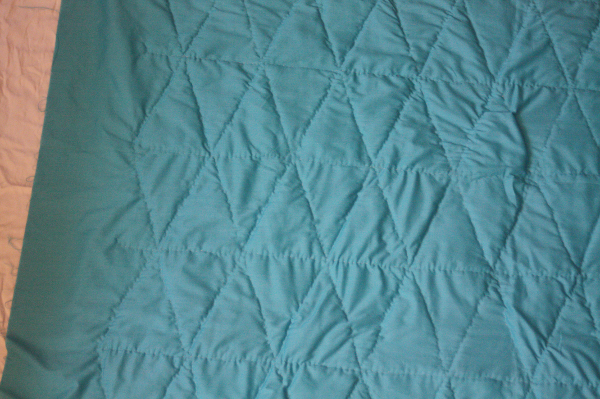 I spent many hours this summer (about 16) hand quilting my little triangle quilt. Many pricked fingers and thousands of stitches later, I finished. 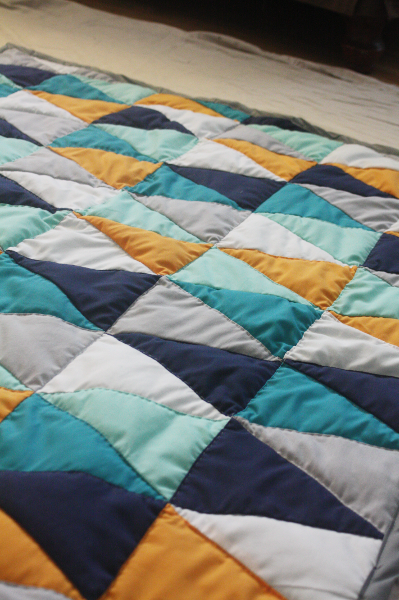 I have officially hand-quilted a quilt! 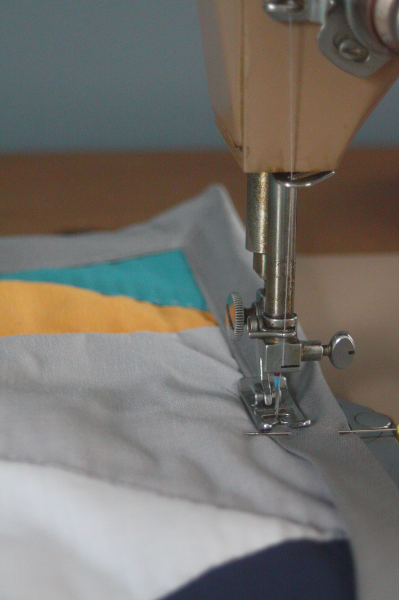 You can see the triangle pattern from the stitching really well on the back. 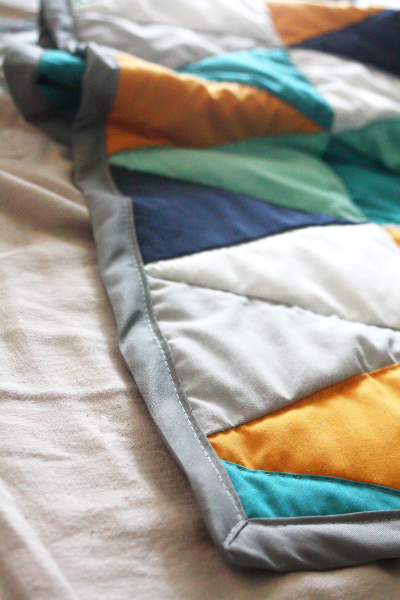 And added a 1 inch bias tape binding. So, it looks like I’m 1:1 on my summer goals, I’ll take it!